Welcome to the Do a Dot ABCs Pack! Welcome to my new series – Do a Dot ABCs. 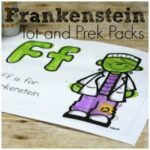 I’ve been dying to do a more “fun” ABCs series to really engage little ones who arent into worksheets. I actually started this a good 6 months ago but the task seemed so daunting I kept putting it off. Once I realized Logi-Bear will do anything if it involves Do a Dot markers, I knew I needed to get this finished! What’s can you expect from the Do A Dot ABCs? 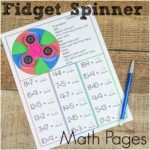 20 Pages of Do a Dot fun! There are 30 pages for each letter that practice uppercase, lowercase, matching, patterning, and more. Each letter has its own separate pack! 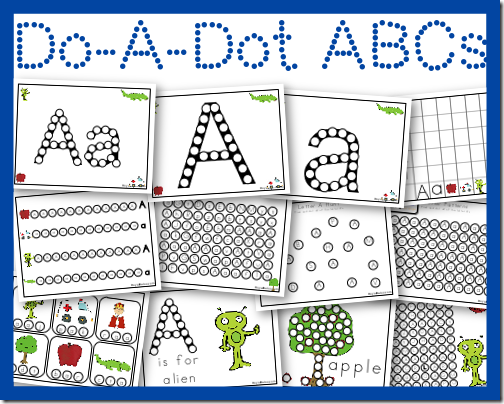 You can buy the entire Do A Dot ABCs in ONE download right now from Teachers Pay Teachers. And for the next four days only (Dec 3 – Dec 6) it is 20% off! The packs will also be released one at a time for free on a weekly or bi-weekly basis. I’ve been working on some of these pages with Logi-Bear and so far he has LOVED them. To say I am pleased is an understatement. There are so many applications for these, more than just Do a Dot Markers! Just put the gems on each dot! This way the page can be reused! And It turns out so pretty! Medium sized googly eyes are also a good fit for these pages! I had them do one of the mazes with just googly eyes. Lots of laughter with this. one. These little dot stickers are also a perfect fit. I had them use the stickers on he patterning page. Graph and Dot is one of our favorites. Something about throwing the dice as hard as you can into the air is just fun. Finally, the letter R sheet. Once you dot all the letters on the page, it makes a bigger version of that letter. We used pom poms for this one. A birds eye view, just for good measure. They were totally shocked when it made a big R.
That is not by any means ALL the pages, just an example of a few we have already worked on. Today I am putting out the letter A! 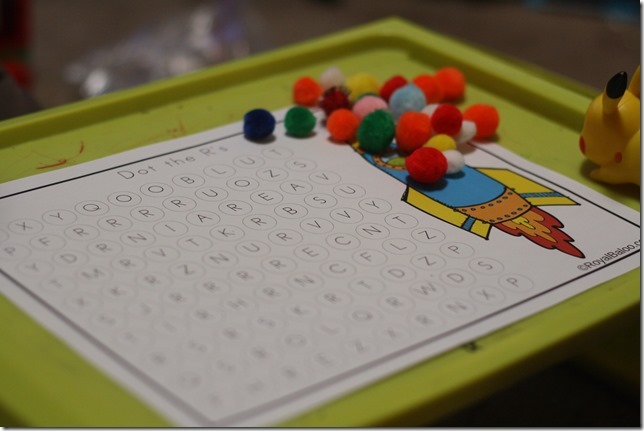 Go Here to Download the Do a Dot Letter Aa Pack! At any point you can buy the entire ABCs for just $10!! That’s less than 2 cents per page! And for the next four days it’s 20% off making it only $8! I was trying to buy the dot set but it’s not coming up at the discounted price. Is there a promo code to use? Thanks! I apologize Jill! Apparently I missed the last step to have the sale start. It’s all good now!